Hello, hello! Today I am excited to share a project I created using the BRAND new Chameleon Pens alcohol markers. 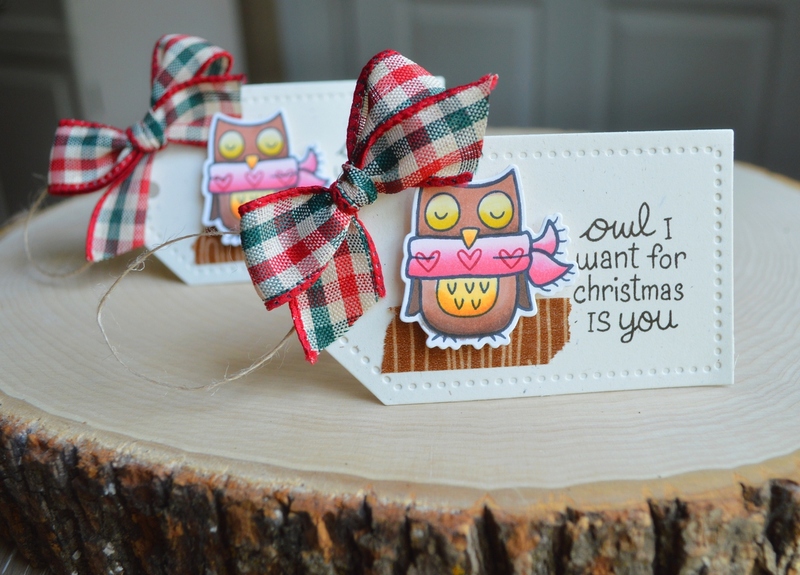 To create my set of tags I used the Lawn Fawn set "Winter Owl" with matching die. I added a strip of wood grain washi tape and festive ribbon from Joann's to finish my tag set. I'll be posting more projects on my blog using these pens so be sure to come back and see what else I will create using Chameleon Pens!